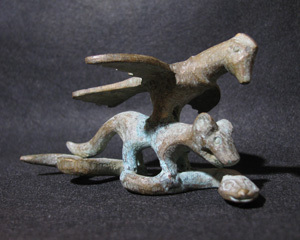 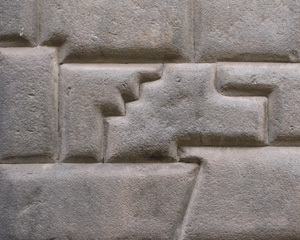 3-step motif represents Snake Puma Condor. 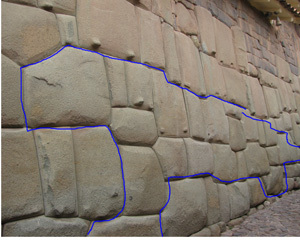 This one is in wall next to door of emperor's palace, Cusco. 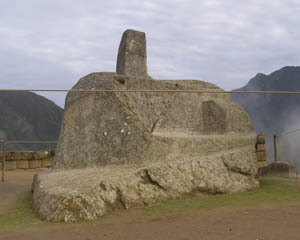 Condor in side of Intihuatana pyramid, Machu Picchu. 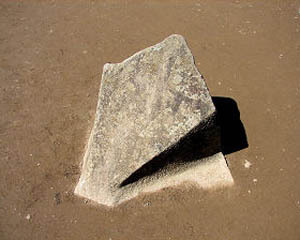 V-wings and head of natural rock flying right. 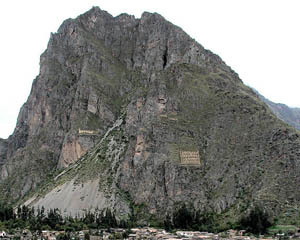 Condor shape of Machu Picchu. 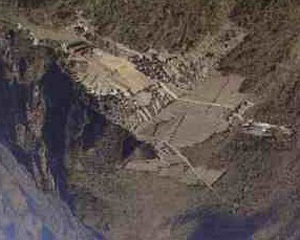 V-wings at top, flying left. 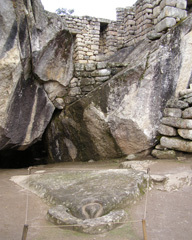 Condor Temple in Machu Picchu. 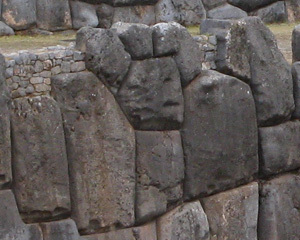 Head with beak and collor carved into ceremonial rock. 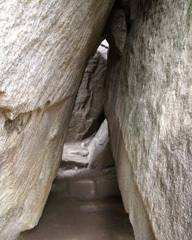 V-wings of natural rock behind. 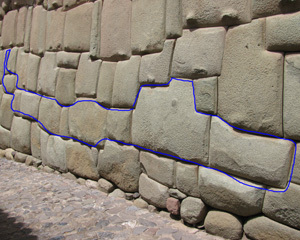 Puma shape in wall of emperor's palace, Cusco. 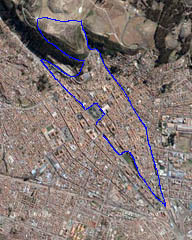 Puma shape of old Cusco. 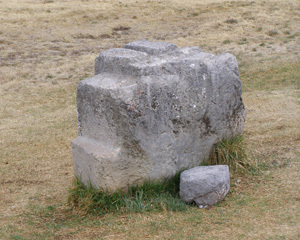 Head is Sacsayhuaman. 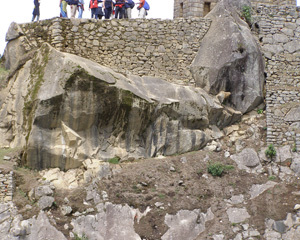 Puma of natural rock sitting in main plazas of Machu Picchu. 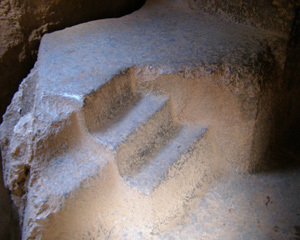 Snake shape, emperor's palace, Cusco. 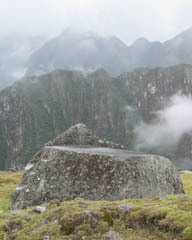 Tail is neck of Puma above. 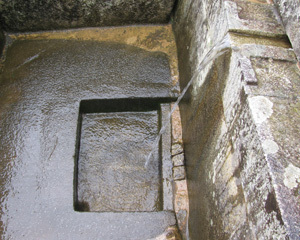 Body is belly of Puma above. 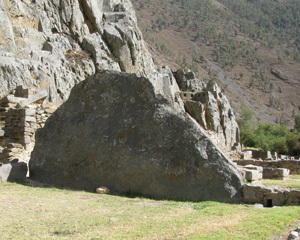 Head is Puma's tail above. 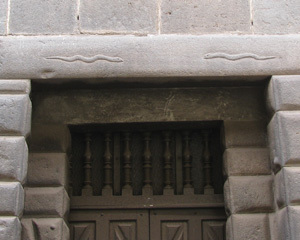 Snakes in lintel above double door jams, emperor's palace, Cusco. 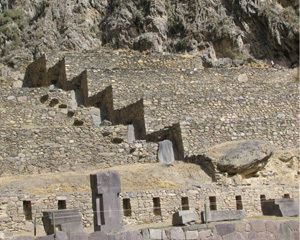 Snake shadow heading up terraces of Temple Hill, Ollantaytambo. 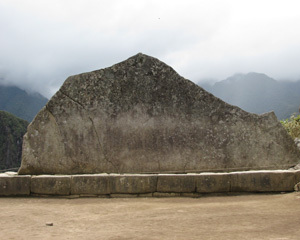 Note rounded tail. 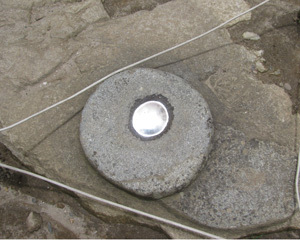 Puma paw, Sacsayhuaman Mortars or Sun Catcher? 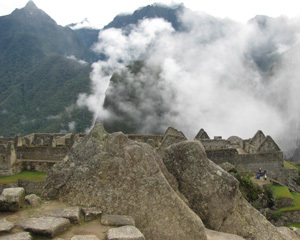 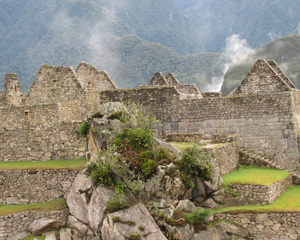 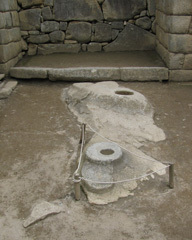 in floor of royal residence, Machu Picchu. 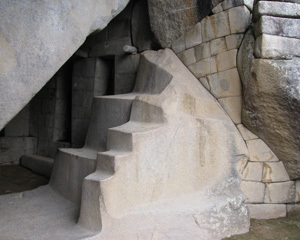 Cave in Condor Temple, Machu Picchu. 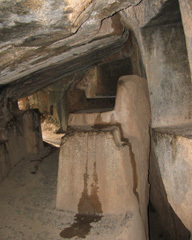 Caves are special doors to the inner world. 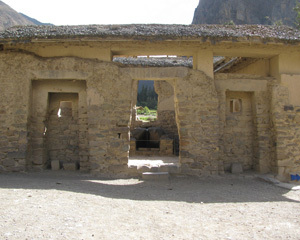 Water Temple, Tambomachay. 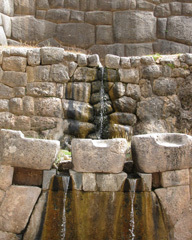 Water temples with their fountains recognize water as the nourisher.